You can also keep on top of your health with our self assessments for conditions including HIV / AIDs, anxiety, depression and PTSD. You can always view your consultation history and record medical conditions in your health profile. 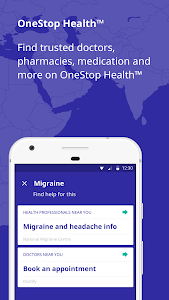 We do everything we can to give you the best possible information but we cannot consider all the factors that a real doctor can so you should use this app for informational purposes only. 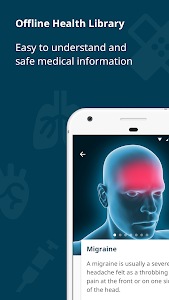 Your.MD provides useful health information that has been calculated by an artificially intelligent system, based on the inputs you provided. It is not a substitute for professional medical advice, diagnosis, therapy or treatment. 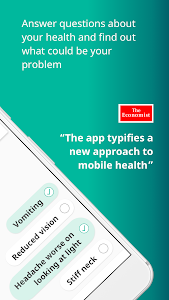 Before acting on any of the information in this app, including referrals to third party services, consult with your doctor to make sure that it is right for you. If you think you may have a medical emergency, call your doctor or the emergency services immediately. Your.MD is not liable for any end user’s decision made solely on the information provided by this service. 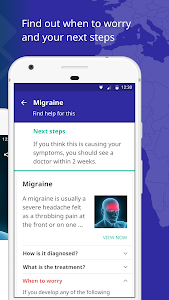 Your.MD does not provide medical diagnosis or treatment, but rather health information that enables users to decide on appropriate further actions, which must be prescribed by professional medical services. FEEDBACK ON PROVIDERS – All providers on our OneStop HealthTM marketplace are vetted for your safety. After visiting one, you can now give feedback about your experience on your home feed. Please email us on [email protected] if you have feedback, we want to hear from you! 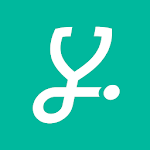 Similar to "Your.MD: Symptom Checker & Health Tracker"